Painting Made EASY! I Guarantee it! I remember VERY vividly the feelings of frustration I had when I was starting to paint all those years ago. It seemed like what at 1st seemed like the simplest thing in the world to do (starting to paint) was getting as complex as learning to be a brain surgeon! I was so confused with all the so called rules etc that to be honest with you I almost never even managed to put brush to canvas at all! and I think many, if not all painting beginners feel exactly the same way as I did. But it certainly doesn’t have to be that way. In reality there really are only a few supplies you really need, just a couple of cheap brushes and a few other bits and bobs you can pick up at any art store, and your ready to start. The whole idea for me doing my eBook “Oil Painting made EASY!” was to simplify and dispel all the myths and needless rules that seem to following painting around like a bad smell. All my eBooks help to make painting easier as I share my techniques with you no holds barred. But oil painting made easy is especially targeted at teaching people to paint, right from the very start of buying their 1st paints and supplies (I even supply a short shopping list). But it also goes much farther than the beginners stage, so you can also progress with your art, so it really is a fantastic buy. I am UK based professional wildlife artist with over 15 years experience in online teaching. 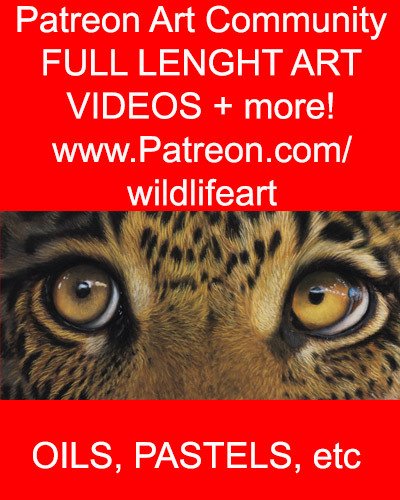 I have one of the most popular wildlife art communities - https://www.patreon.com/wildlifeart with hundreds of members getting NEW full length painting and drawing videos each month. 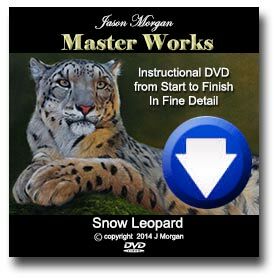 I also have a popular wildlife teaching site - packed with DVD discs and downloads - http://www.jasonmorgan.co.uk You can find me on Facebook here - https://www.facebook.com/jason.morgan.wildlife.art/ I specialise in pastel pencils and oil paints, but also work in charcoal, graphite and coloured pencils too.